Eight years after the start of the Meaningful Use program, electronic healthcare records, or EHRs, still remain a challenge for providers, and they’re making their issues known. The American Hospital Association recently responded to a CMS request for information with a letter calling for the cancellation of Meaningful Use Stage 3, an act that would reshape reporting around EHR use into a 90-day period. For most providers though, it’s arguable that we’ve reached a point of no return, since the HITECH Act/Meaningful Use has already shaped the current state of electronic health records. Most providers (certain subspecialties aside) have either adopted or made plans to implement some sort of EHR system. With this new record standard, existing hospitals are left addressing the concerns surrounding EHRs as they implement the new infrastructure, and it’s a challenge that just might be solved with technology. Still, this doesn’t mean physicians are pining for paper records, but many recall a time when EHRs were highly customized, and even occasionally funded by individual practitioners themselves. While some of these systems were proprietary, they let healthcare professionals access information specific to their practice or specialty, and could be updated to a preferred format. However, with the growing benefits of interoperability and population health having become clear, those days have passed, and addressing the current challenges of EHR efficiency will require complete acceptance that the industry is left with a new foundation for the future of electronic healthcare records. Many doctors, hospitals and IT shops are unfortunately waiting to see how things shake out and in the process, are missing out on a chance to take advantage of and navigate an already-emerging trend in EHR development. With many electronic healthcare record solutions exhibiting increasing levels of customization, it’s very possible that, even as doctors are experiencing lower rates of satisfaction due to spending more time accessing patient records and less time with patients, we’re simply going through the growing pains necessary to reach a market of EHR systems that are once again optimally customized to doctors’ needs. Until that market fully emerges, it will be essential for physicians looking to simulate their own levels of customization to look to other technology options to help them along the way. One of the simplest solutions is the option of “layering” on workflow technology to address the common criticism of EHR workflow interfaces. Charles Webster, MD, president of EHR Workflow, notes that the industry’s current ability to improve EHR interfaces is highly limited. Layered workflow solutions are particularly well-suited to address these challenges by taking advantage of mobile options including tablets, smartphones and laptops, especially if physician and other user preferences are taken into consideration. This not only allows for flexibility, but also exponential benefit from the improved workflow interface itself. It gives users the opportunity to easily modify a system that may not have all of the capabilities certain professionals need out of the box. Mobile devices on their own are also powerful solutions in walking through this transition period and tackling some of the negative impacts that EHRs in their current form have presented. A recent Ricoh Americas study found that 74 percent of hospitals that use mobile devices are more efficient than their counterparts that don’t. 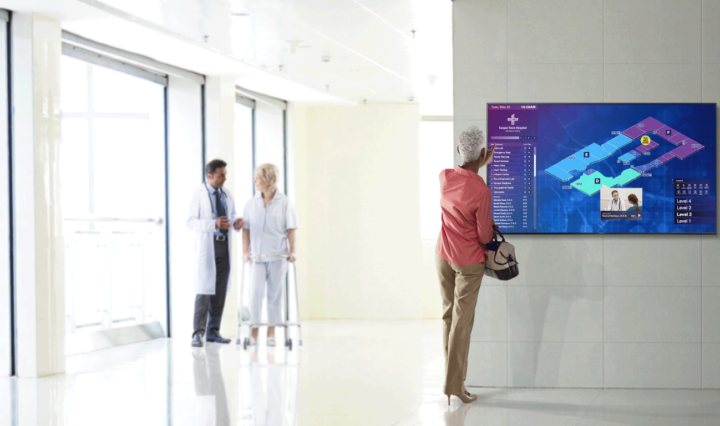 Additionally, a full 85 percent of patient respondents indicated that a hospital using the latest technology made them feel more comfortable about the quality of care offered. The flexibility of mobile devices also lends the ability to de-tether physicians from confined desktop workspaces, and provide them with large, patient-accessible screens that facilitate joint review of information, and as a result, increase patient interaction. The sheer flexibility of these solutions also allows for real-time documentation of health information, cutting down on time spent transcribing and accessing patient records. Professionals can also consider, for example, Epic’s MyChart Bedside application, which allows caregivers to supplement provider face time with access to EHR data, including the ability to view their health records and test results, as well as access daily treatment schedules, message care providers, receive disease management education and in some cases, even enjoy entertainment options. This additional component not only can help alleviate some of the pain points in record management, but can help improve the overall patient experience. As the Meaningful Use and EHR changeover continues to settle, it’s likely that electronic healthcare records companies will begin to offer even more custom solutions and return some of the previous benefits that physicians look back fondly on today. In the meantime, healthcare decision-makers have a range of cutting-edge and familiar technology options — for both hardware and software — available to them to address their most pressing challenges.